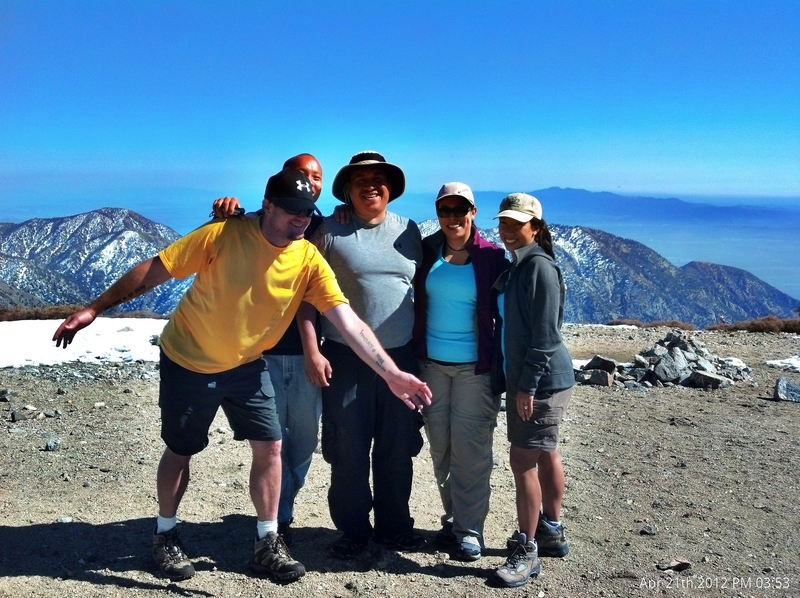 OC Trail Hikers on the summit of Mt. 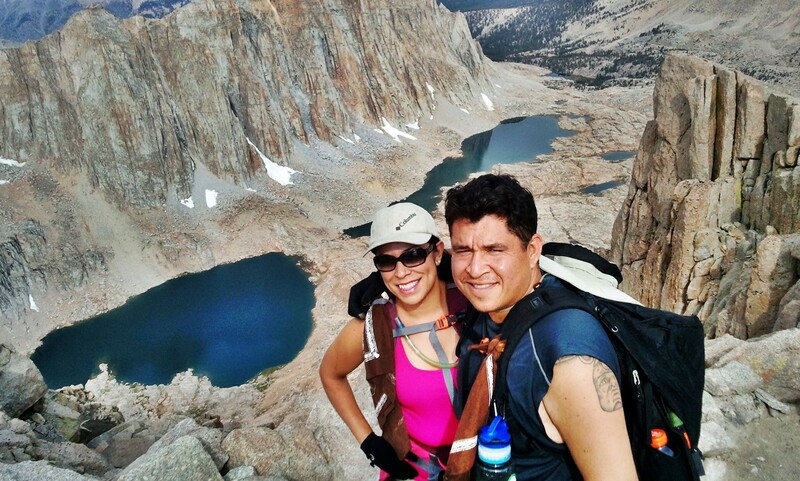 Whitney 14,508 ft! Where do I begin… Lets see.. 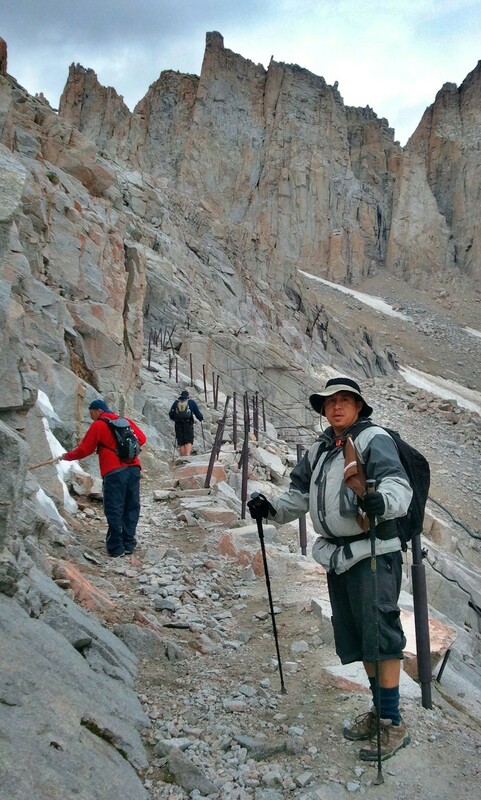 This was the biggest hike of my life and it was far from easy… It wasn’t physically tough but more mentally challenging. 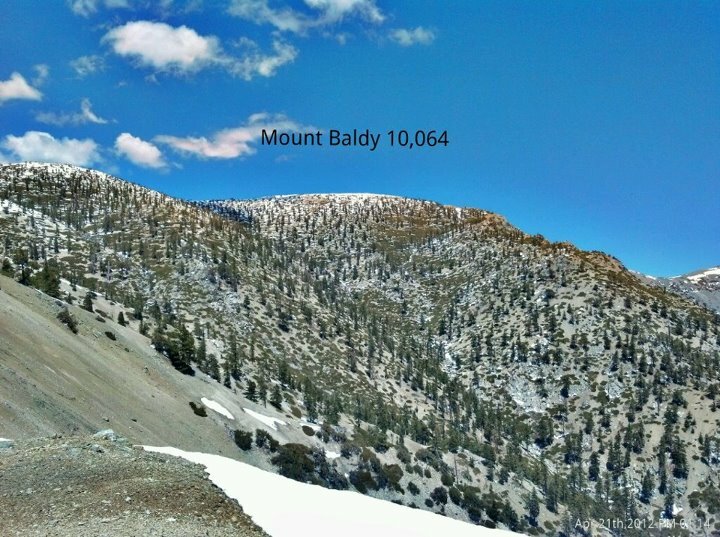 The hike to the summit is 11 miles with an elevation change of around 6,000 ft. The hike itself is relatively easy but the higher you get the harder it becomes to breath… and you get really high! 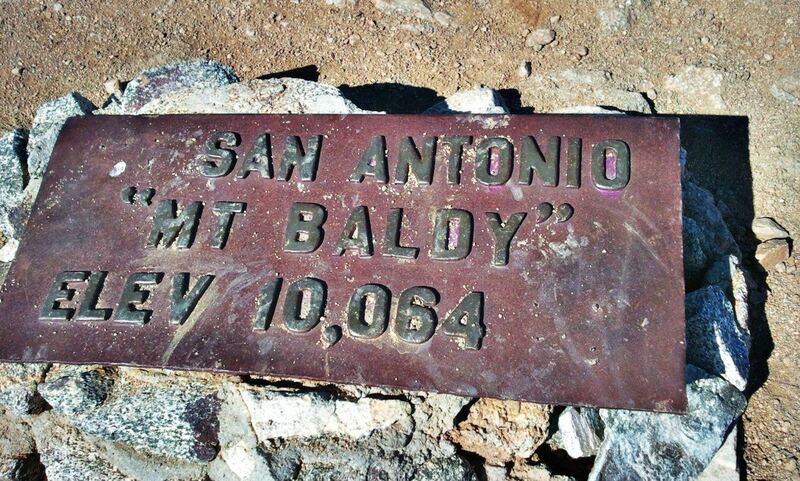 In fact, at 14,508 ft., its the highest point in the lower 48! Our plan was to start hiking at midnight so that if we encountered any difficulties along the way we would still have plenty of time to recover. That idea I was fine, but the idea of getting to the portal and sleeping during the day before our hike totally backfired on us! We spent all day trying to sleep and couldn’t even squeeze in a minute of shut eye. Before we knew it it was already 11pm ! We geared up and hit the trail by 1130pm. Hiking in the dark is something I had only done a couple times before but only for 2 hours at the most… This was going to be a 7 hour hike in the dark until sunrise. It was nice to hike under the cover of darkness but the only downfall was that we missed all the nice scenery on the way up. 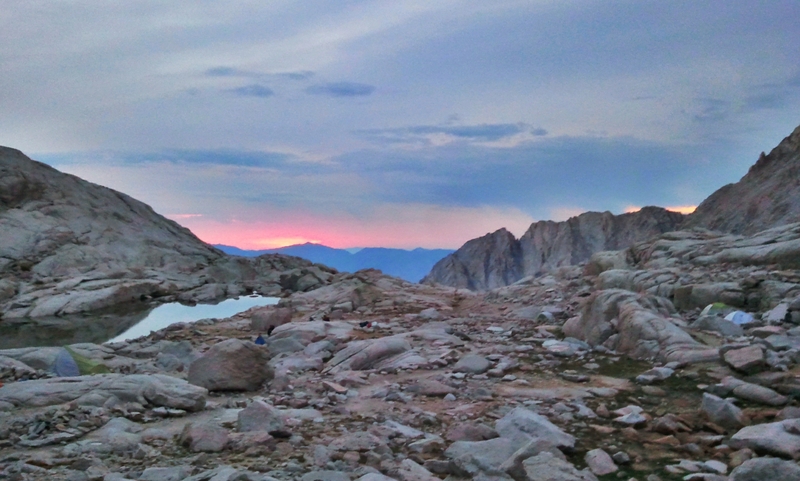 We arrived at Trail Camp just in time to see the sunrise. After a quick break we refilled our water and continued on to the infamous 99 switchbacks. The switchbacks arent so bad on the way up.. The way down is a different story! 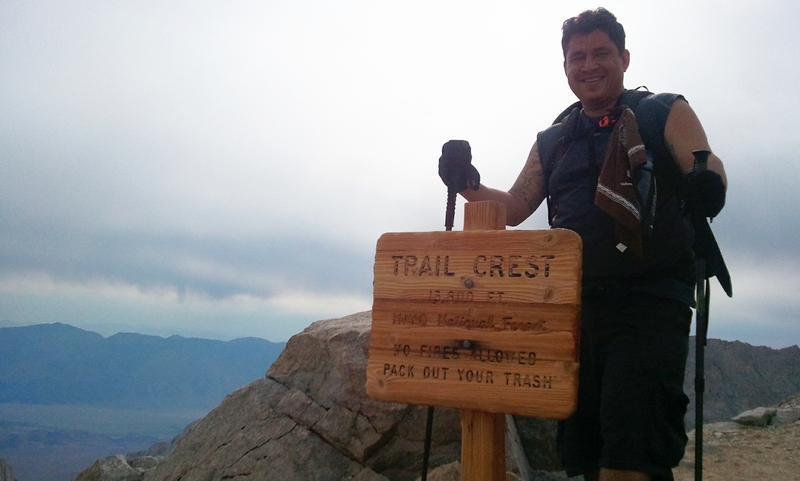 When you reach Trail Crest you are overcome with this feeling of accomplishment and joy and you almost feel untouchable! 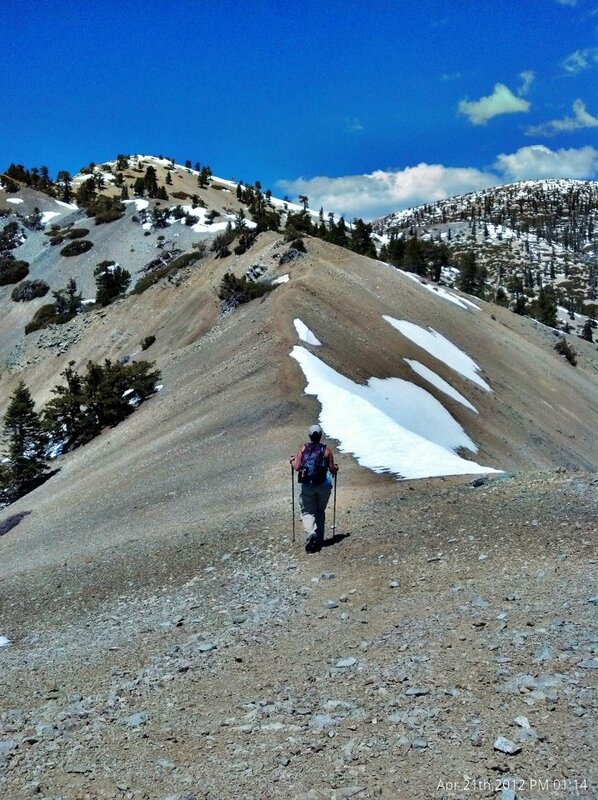 That feeling lasts about 2 minutes!… as you make your way down, yes down, Trail Crest you begin to realize that getting to the summit is going to require a little more work than a measly 99 switchbacks! If you made it this far, there is no reason to stop here although you might be slightly discouraged, just keep on trekking! 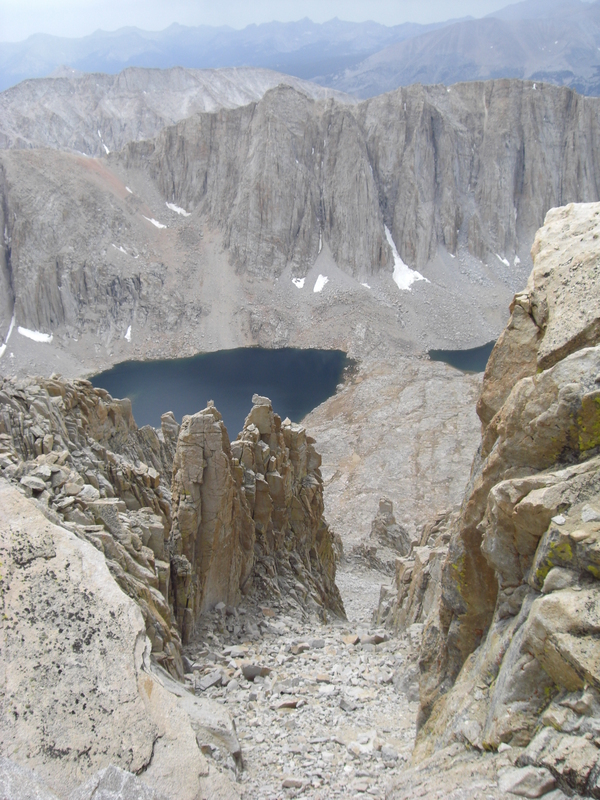 Along the Trail Crest/JMT you will have amazing views into Sequoia National Park. 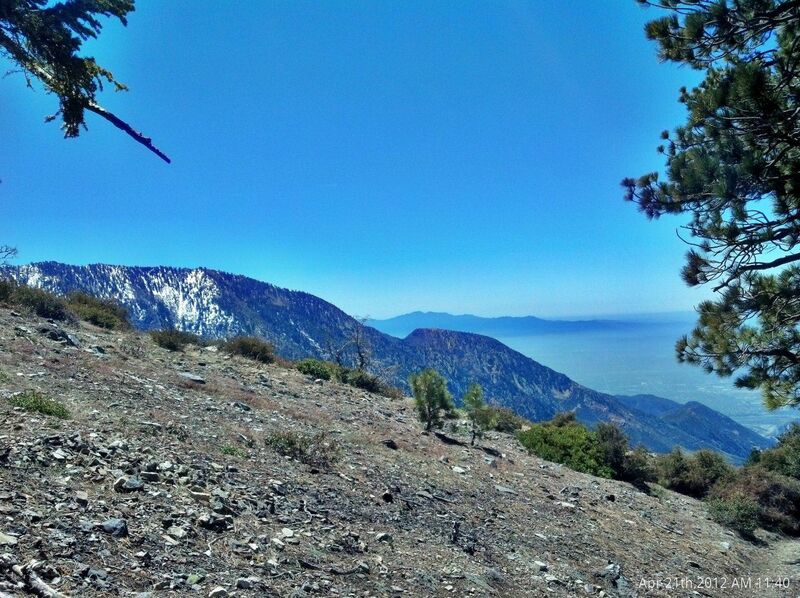 The views are like no other that I’ve experienced on any of my hikes Just plain amazing! The final push to the summit is an amazing feeling… Knowing that all your hard work, training and sacrifices are about to pay off, makes that moment one that you will never forget! Me making the final push to the top! 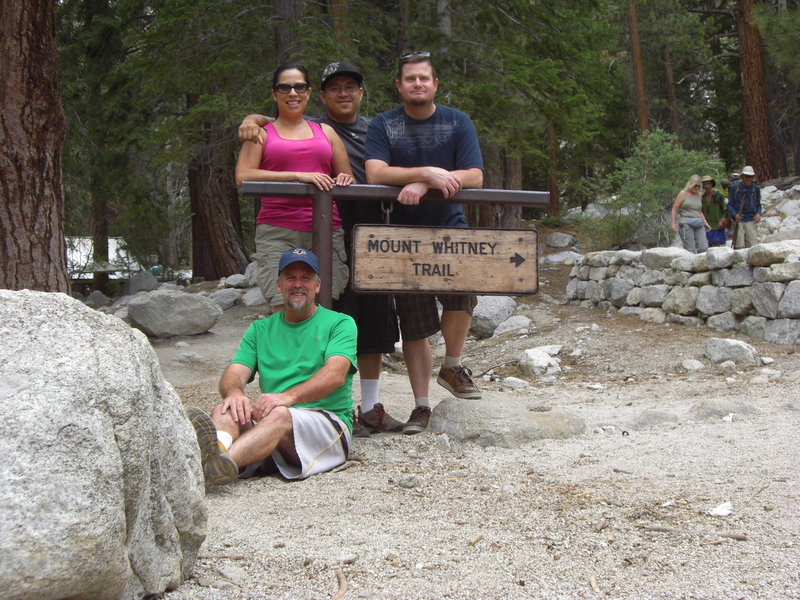 This was a wonderful journey I was fortunate enough to share this experience with my beautiful wife Martina and my hiking buddies Neal and Scott. Our total hike time was 19 hours including breaks and stops to regroup. The altitude played a big roll in our long trek. Dealing with elevation sickness and the extreme headaches was something that required us to slow down and take lots of breaks,very frequently. 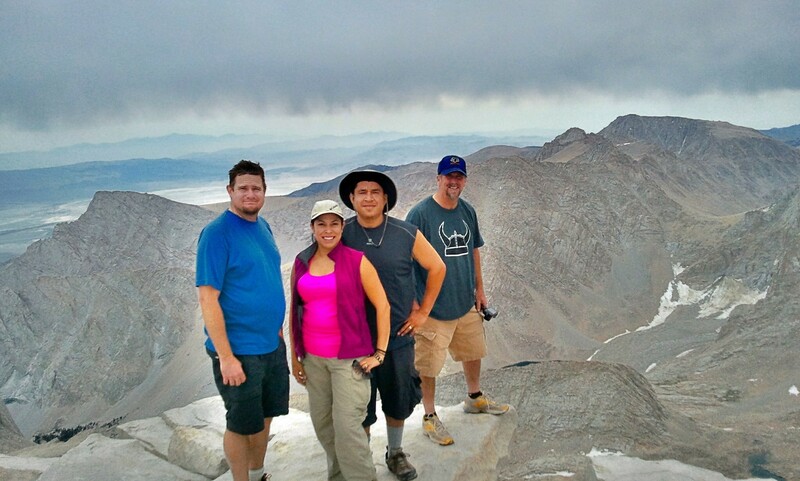 It took us 11 hours to summit and 7 to return back down. 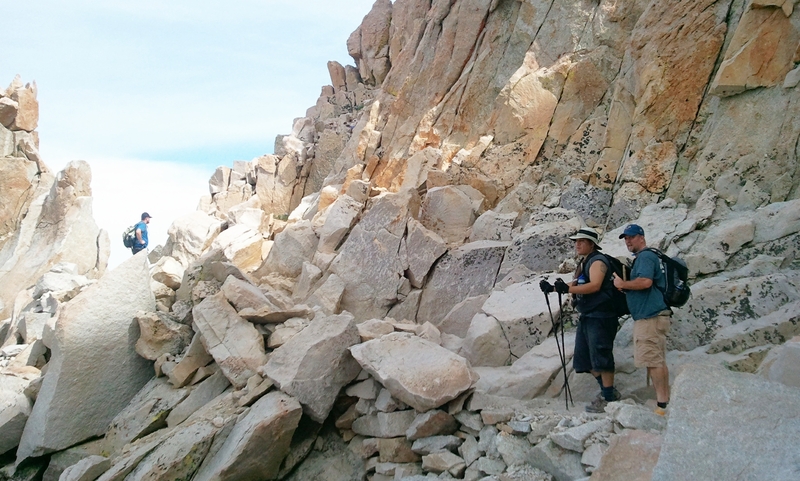 A permit is required to hike to the summit of Mt Whitney. Click here for info on entering the lottery. start early and take your time. THE MOUNTAIN ISN’T GOING ANYWHERE! 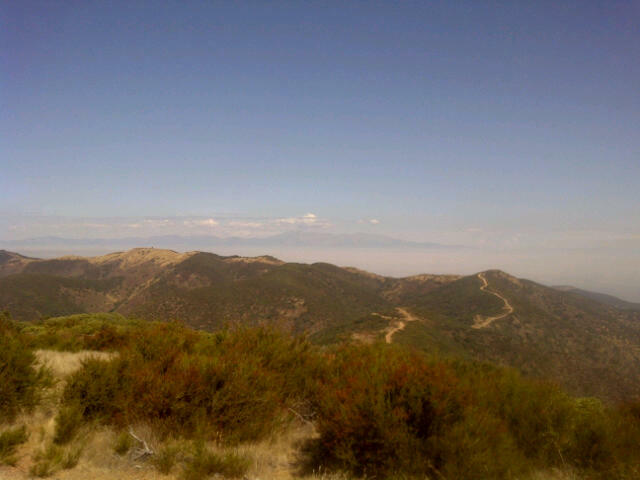 Bedford Peak is part of the Santa Ana Mountains, home to Santiago Peak, the highest point in OC. 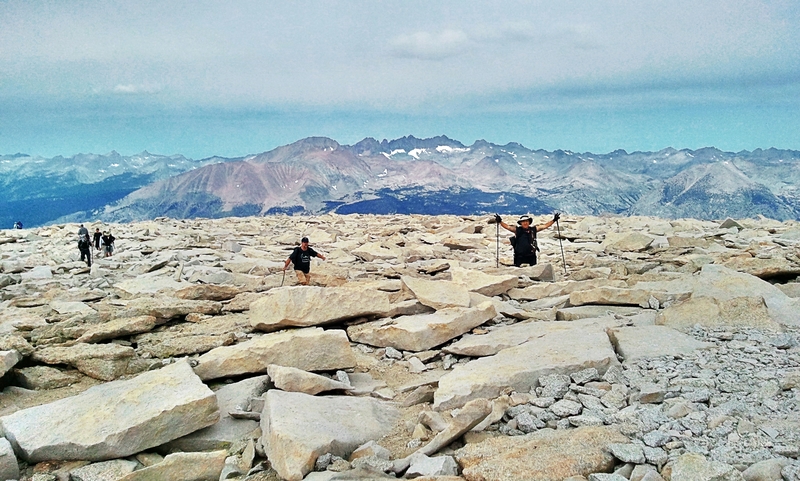 Although Bedford Peak is not a major peak it is still a popular hike amongst locals. Today we decided to conquer this trail and mark it off our list. 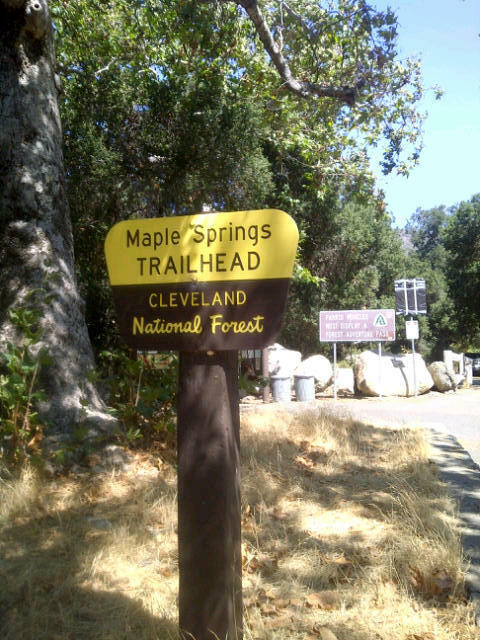 Parking for this hike is located at The Maple Springs Trailhead, located in the town of Silverado. From the parking lot you will continue on foot onto Maple Springs Rd for about .3 miles until you come across a sign that reads “Trail” This is the Silverado Trail (Silverado Motorway) make a left here and proceed past the yellow railing. 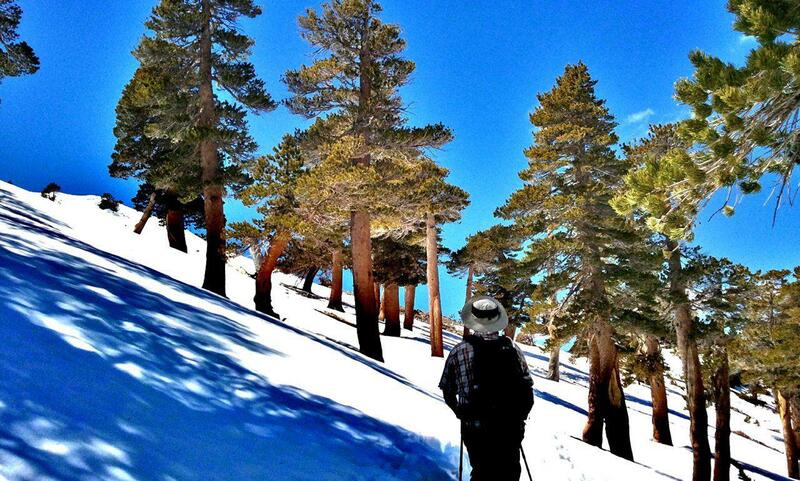 Its all uphill from there! 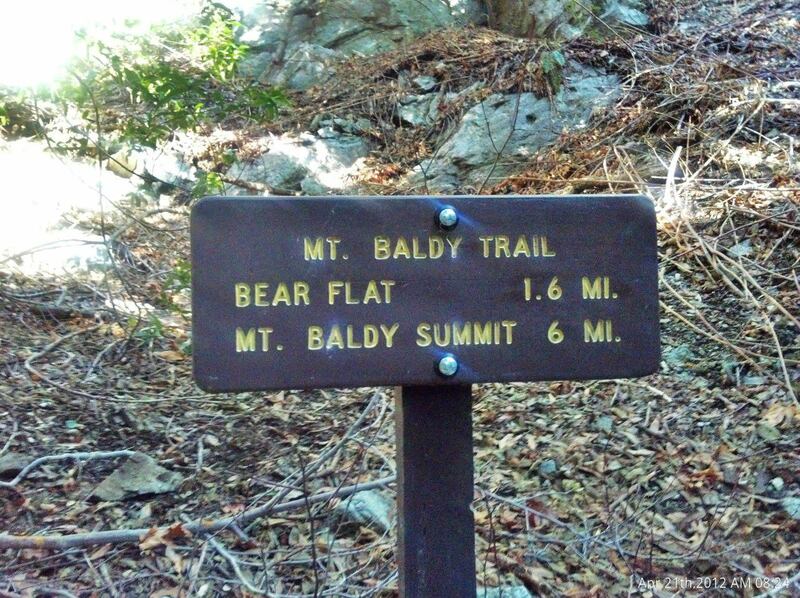 The next 3 miles take you up 2,000 ft in elevation. Making for a very strenuous hike, especially on a warm day like today. 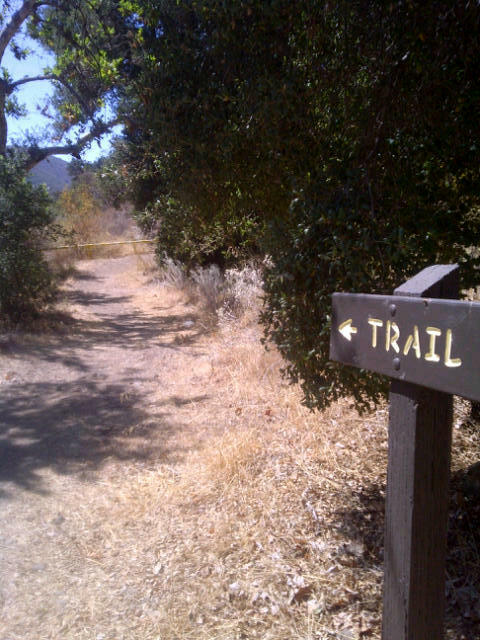 ( 80 degrees was the high) the trail starts of narrow and then widens out as you clear the brush. 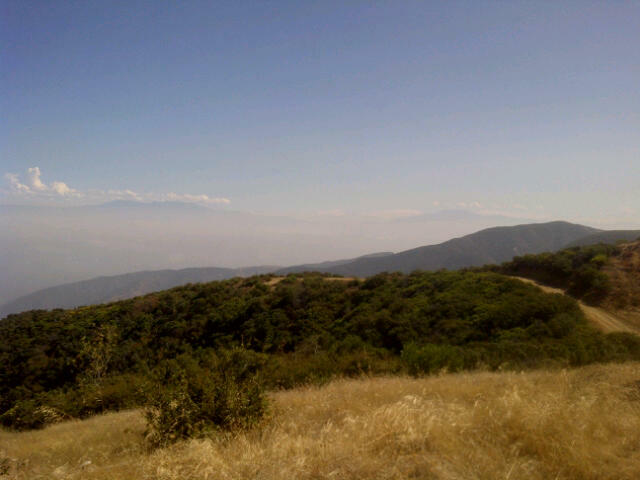 As you steadily climb in elevation the Santa Ana Mountains begin to reveal themselves and they are a beauty! About half ways up the switchbacks, you reach coffin rock, here you are treated with wonderful views of OC, great place for photo opportunities! 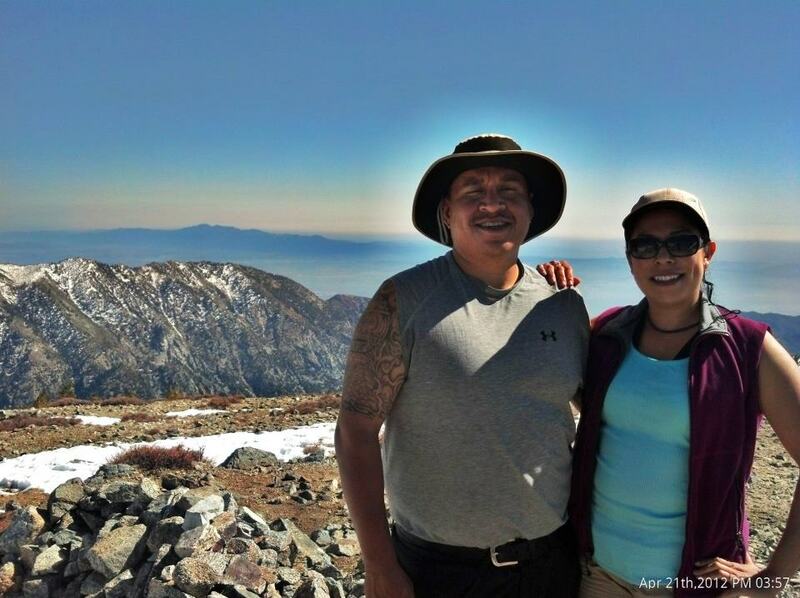 When you reach the peak, you can enjoy great views of Mt. 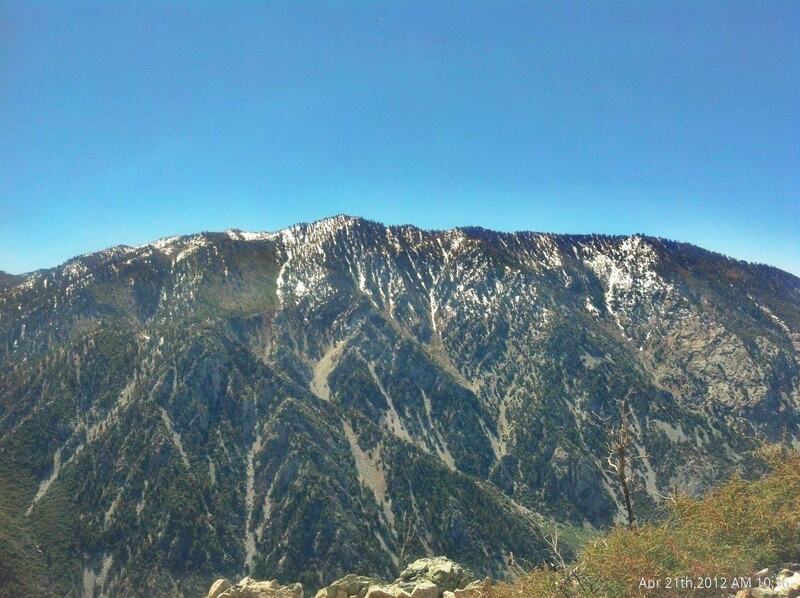 San Jacinto, San Gorgonio, Mt. 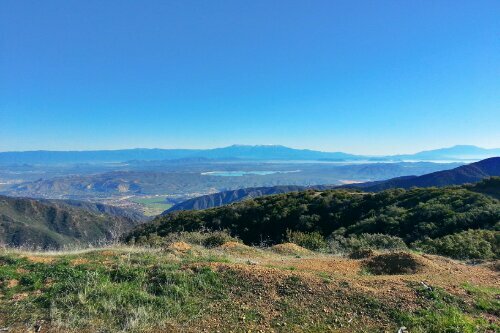 Baldy and OC in the distance.